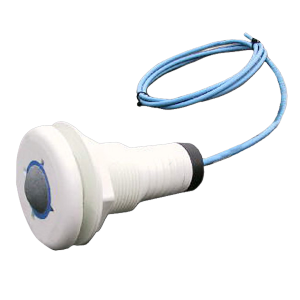 The unique STELTH 5 thru-hull/marine reference electrode is designed specifically for pleasure yachts, therefore is not available for commercial use. For thru-hull marine applications in any chloride environment. For thru-hull marine applications in low chloride environments (can tolerate chloride plus bromide levels up to 1,000 ppm). For thru-hull marine applications in seawater/chloride environments (with chloride plus bromide levels in excess of 1,000 ppm but less than 19,000 ppm).